It’s been insanely cold in New England this past week. It hit 10 degrees here one day. 10! I’ve been chugging green tea with pomagranate and wearing a wool scarf and a jacket. At work. In my cube. It’s so frickin’ cold! There were moments I toyed with the idea of snuggling with my space heater. The potential to set myself on file managed to dissuade me but it was considered. With that said, I’m giving you another soup recipe. I know, I’m sorry! I know I make soup all. the. time. but it’s just so easy! 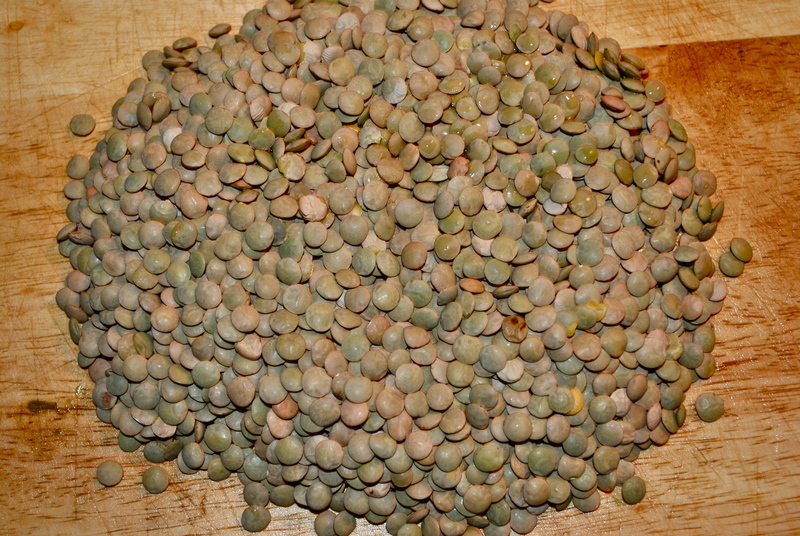 I make one big batch of it on Sunday, fill up some jars and it’s a grab-and-go lunch. I love that. Especially, when I want to be at work at 7:30 but I don’t get out of bed until, well, 7:30 because it’s so frickin’ cold! 1. Prepare your grains according to the package and set aside. 2. Meanwhile, in a large pot over medium-low heat, add a bit of oil (~1 tsp) along with the chopped onion, and minced garlic. Sautee for about 5 minutes until transparent, stirring frequently. 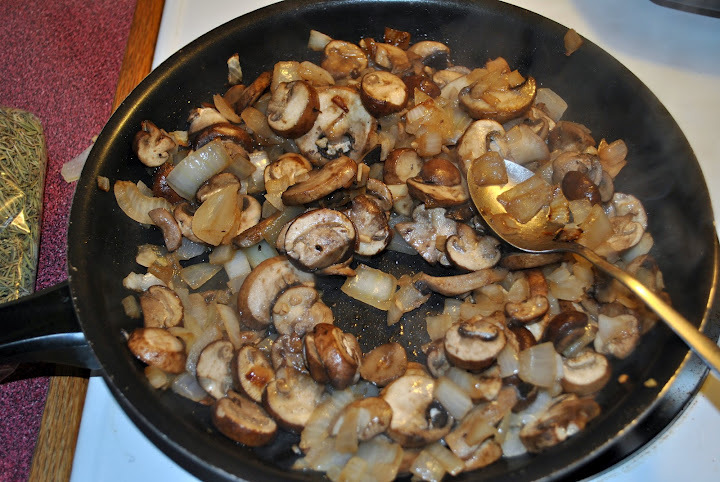 Add sliced mushrooms and cook over medium heat for about 15 minutes until most of the water cooks off. 3. Stir in broth, along with seasonings (salt, pepper, Worchester sauce). Add only about half of the salt to begin, adding the rest to taste right before serving. Simmer over medium heat for about 5 minutes. 4. Scoop half of the mixture into a blender and blend until almost smooth, but still a bit chunky. Add back into the pot. 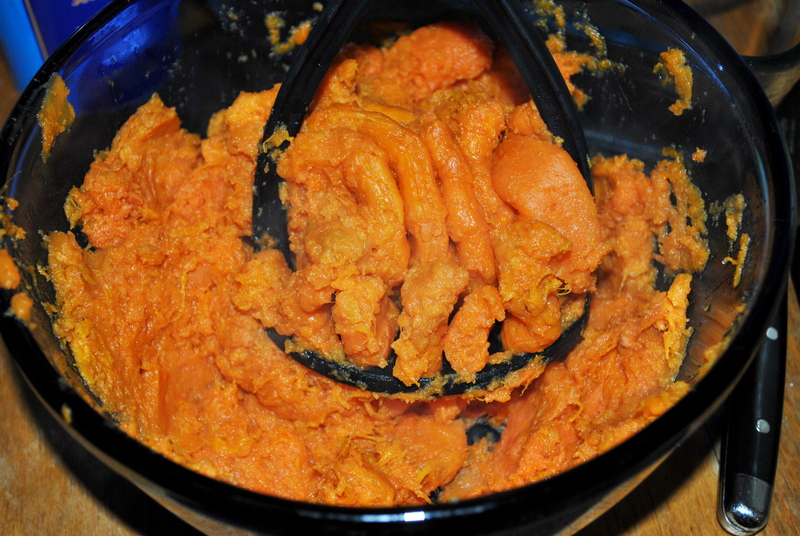 Alternatively, you can use an immersion blender, but be sure to leave it nice and chunky. 5. Stir in cooked grains. Season to taste and serve with a garnish of toasted walnuts, garlic bread, fresh parsley, or anything that you like! 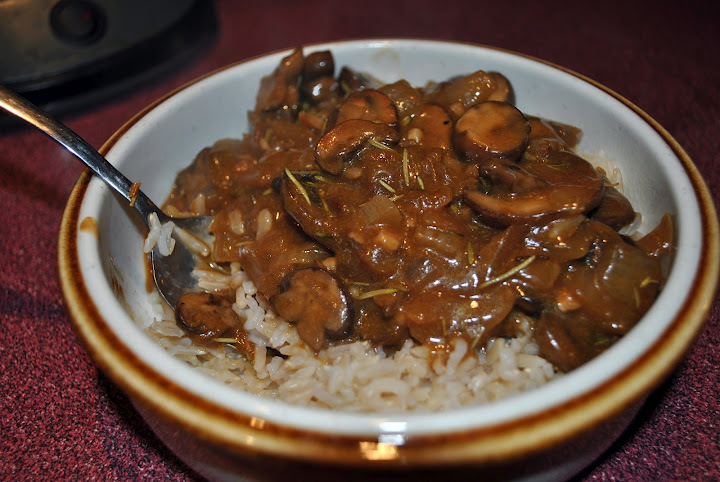 The cremini mushrooms give this a great earthy taste and have a great texture. I can’t speak for other mushrooms but I imagine portabellos cut into managable pieces would work too. 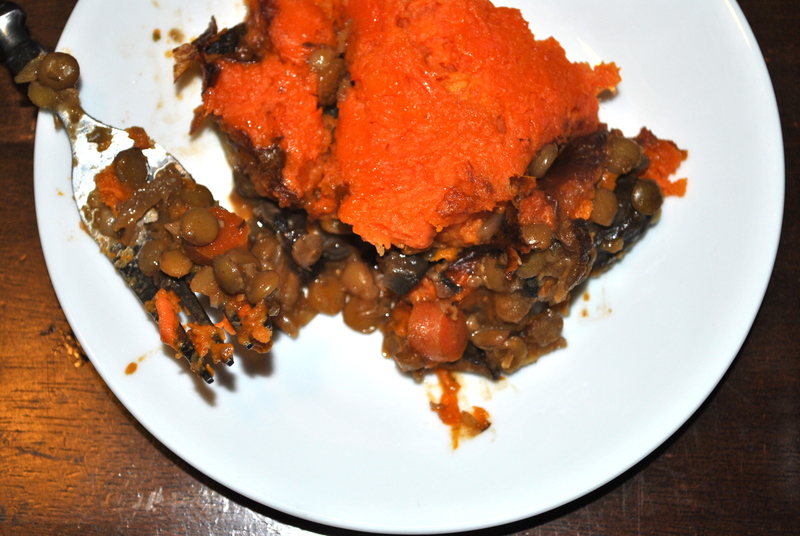 I’ve been eating this with a thick piece of warm multi-grain bread. Perfect for dipping in the soup and it satisfies my craving for carbs, which seems to be a side effect of the 10 degree weather. I had a dream about mac and cheese the other night. It’s bad. 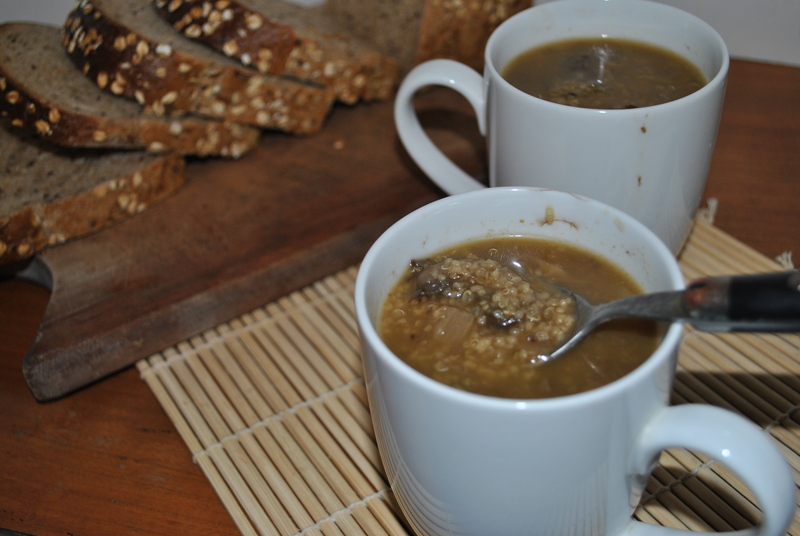 Hot soup and warm bread seem to help, though! My mile long to-do list is taking a back seat tonight. I’m layering on the warm fuzzy pjs, crawling into my bed and eating a large bowl of this soup while watching a movie. 10 degree weather is for snuggling, not working. That should be a law! Also, can we just pause and marvel at the fact I posted a blog on Monday?! I never get my act together enough for that. Of course, the photos need serious work but Yeah! Monday post! Also, I like to share music on here so here’s my current favorite Spotify playlist. Enjoy and stay warm! So here’s the thing with being a 20-something at an entry-level job living in a city- you don’t have a ton of money. At least not with a degree in english and art history and a nasty Starbucks habit you can’t kick. This means that I have to be stingy- I can’t purchase that studded Burberry purse that I’ve been drooling over for over a year. (Ms. Lindsey-I-have-no-job-but-800-outstanding-lawsuits-Lohan gets one though. WHATEVER!) That trip to Disney World so I can go to the halloween night 5 days in a row and wear 5 different costumes ain’t happening. Decorating my kitchen with gadgets from Crate and Barrel will have to wait…until I’m married…and they are purchased for me. This frugal attitude also extends to my apartment. My very drafty apartment. The roommates and I do our best to keep the heat down low. Which means from mid-October until May my house is cold. Sometimes very cold. Like, sleep-in-multiple-layers-and-gloves cold. Though no one will come visit us and we walk around in full length sleeping bag/body suit things, it does helps us save money so we aren’t eating only Ramen Noodles (and I can save for a trip to Italy). Though we avoid the Ramen, soup does helps fight off the chill, which is already starting to creep into the apartment. 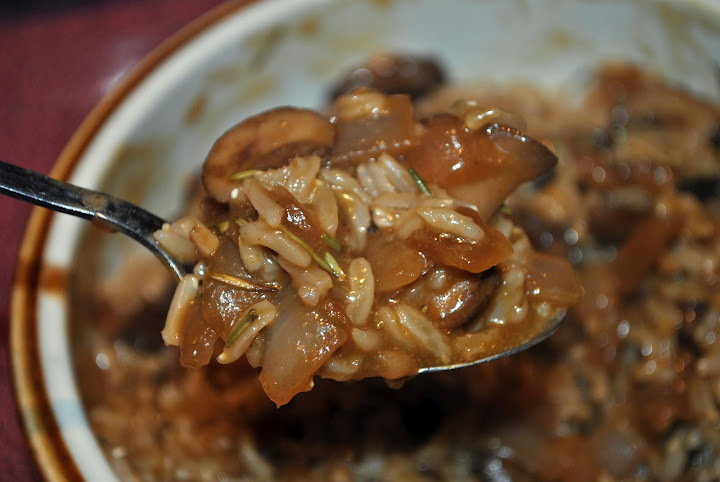 This mushroom onion soup is definitely going to be in rotation this winter. PLUS, it may give me a legitimate excuse to buy an immersion blender. Yeah! one gadget I don’t have to wait for my wedding day for! 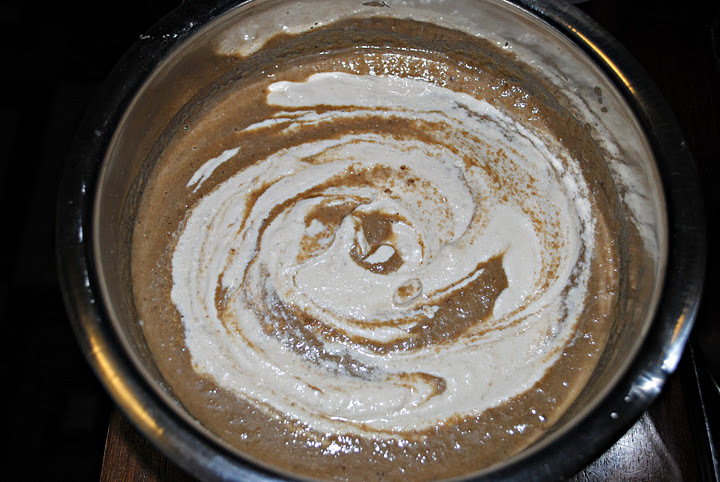 Cream from just cashews and water. How cool is that?! In a large pot, heat olive oil over medium heat. Add onions to hot oil and saute until translucent and slightly browned, about 5 minutes. Add garlic, stir, and cook for 1 minute more. 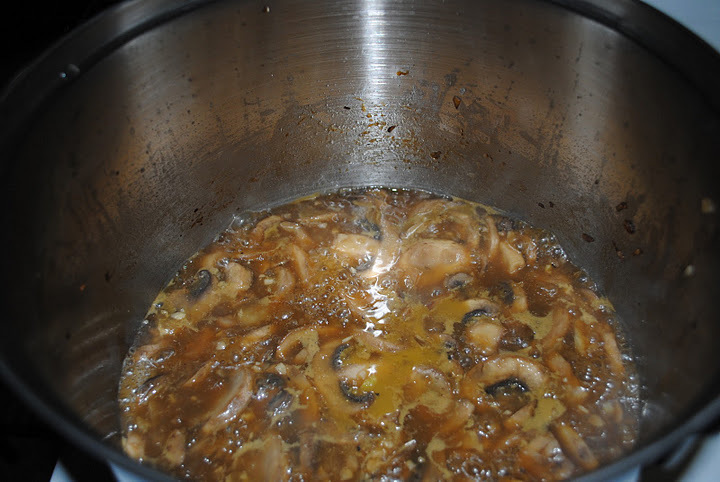 Add the mushrooms, soy sauce and Worcestershire sauce and cook until mushrooms are cooked and broken down, about 5 minutes. Stir occasionally. 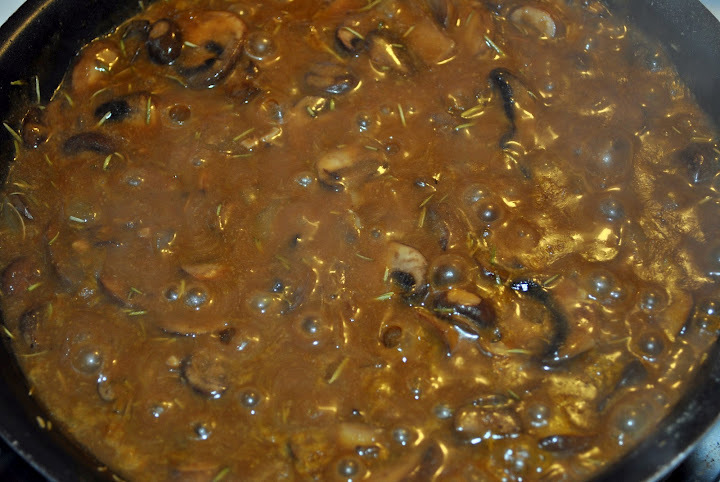 Add cracked pepper and vegetable stock and cook at a simmer until mushrooms are completely soft. This took me about 10 to 15 minutes. 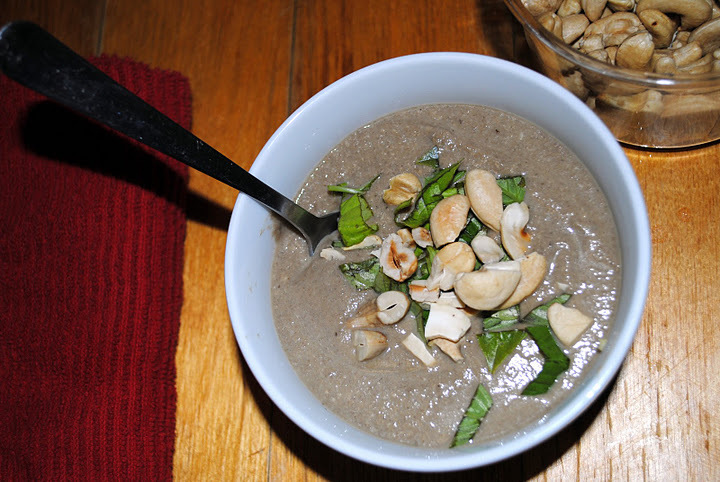 While the soup simmers, prepare the cashew cream. 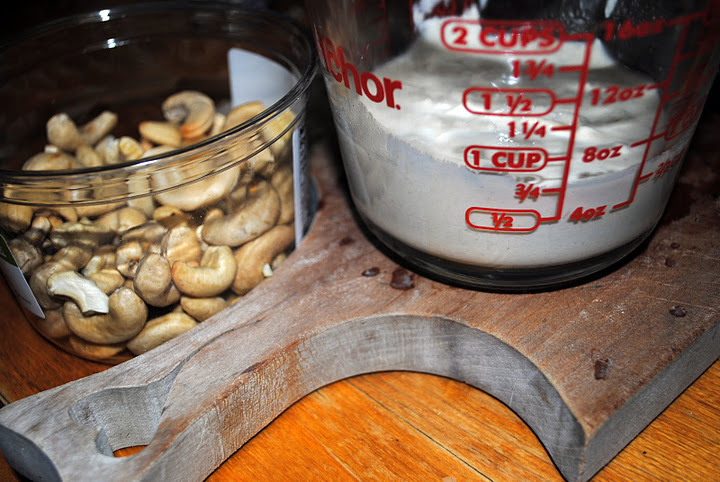 In a blender, combine raw cashews and water. Blend on high until smooth. Pour into a measuring cup and set aside. Don’t worry about washing the blender… we’re going to use it to blend the soup. 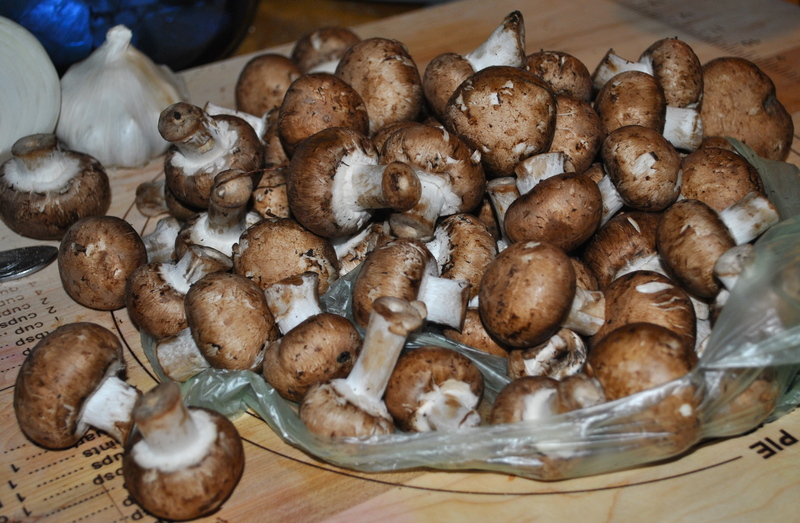 When mushrooms are cooked through, add about one third of the soup to the blender. Hot soup rises high in the blender so definitely be careful how high you fill the blender. 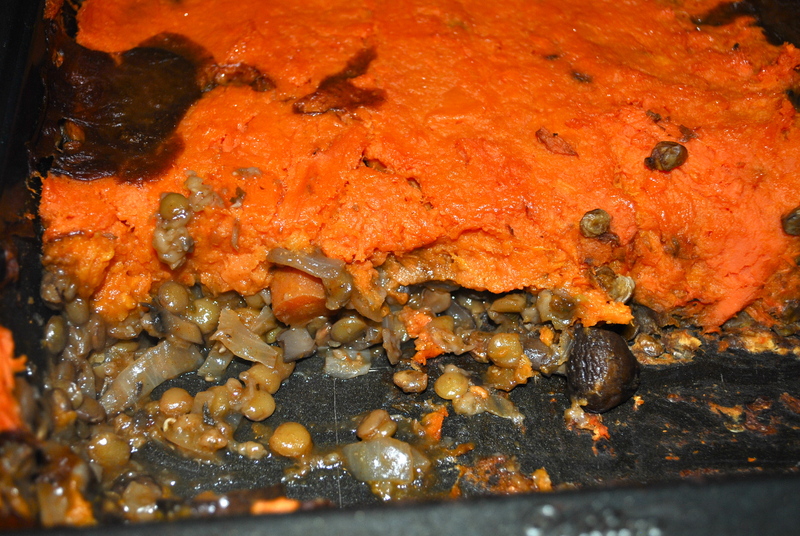 Blend soup on low, increasing the speed to high, until no large mushroom chunks remain. Pour blended soup into a clean pot or large bowl. Blend the remaining soup in batches. *If using silken tofu instead of cashew cream. Blend the silken tofu in with the mushrooms and broth. 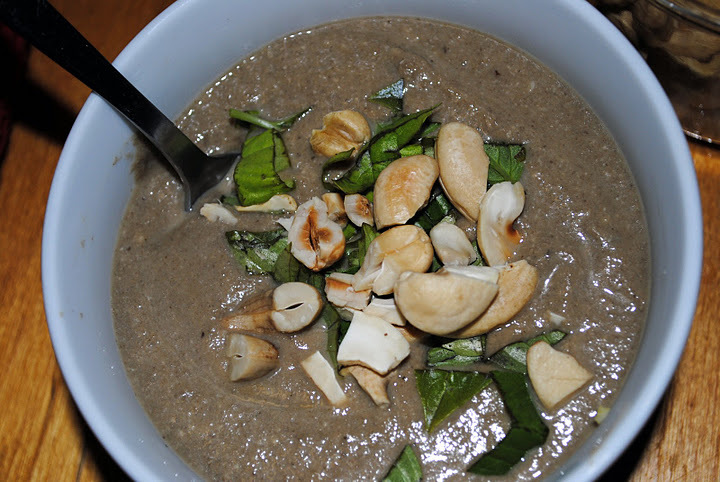 Add the cashew cream to the blended soup and stir to incorporate. Place a fine mesh strainer over the pot that you cooked the soup in. In batches, pour the blended soup into the fine mesh strainer and work the soup through the strainer with a rubber spatula. Don’t use a wooden spoon… you could get splinters in your soup… seriously. Heat and serve the strained soup. Or place in a freezer safe container for a few weeks down the road. 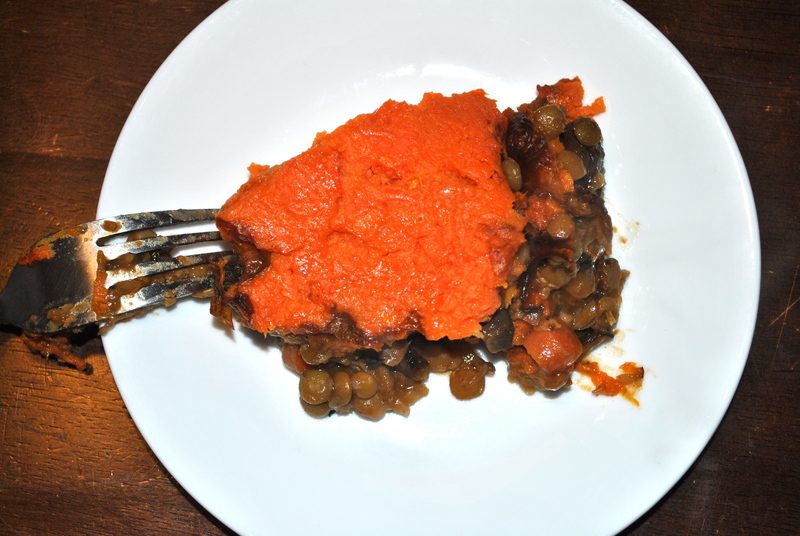 This recipe was delicious! And how cool is the cashew cream thing?! 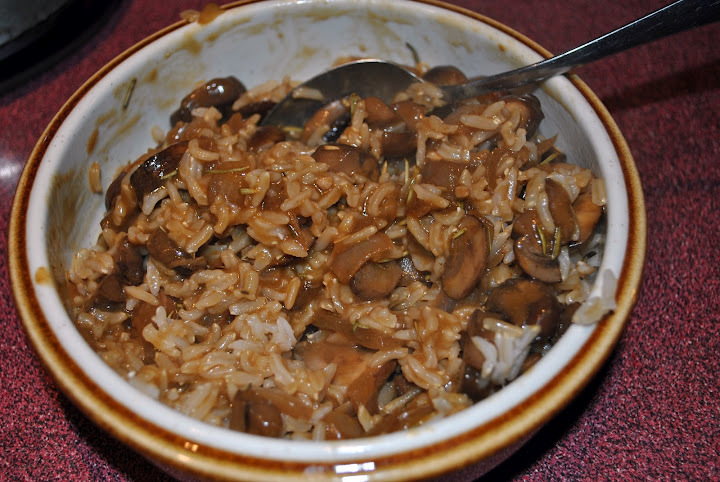 Cashew’s have such a subtle taste to them that it didn’t overwhelm the onion and mushroom taste. Also, I didn’t bother straining it. The blender did a good enough job and, honestly, I don’t have a strainer that fine. If you don’t have a blender or aren’t into soup that sort of resembles baby food, that’s cool. 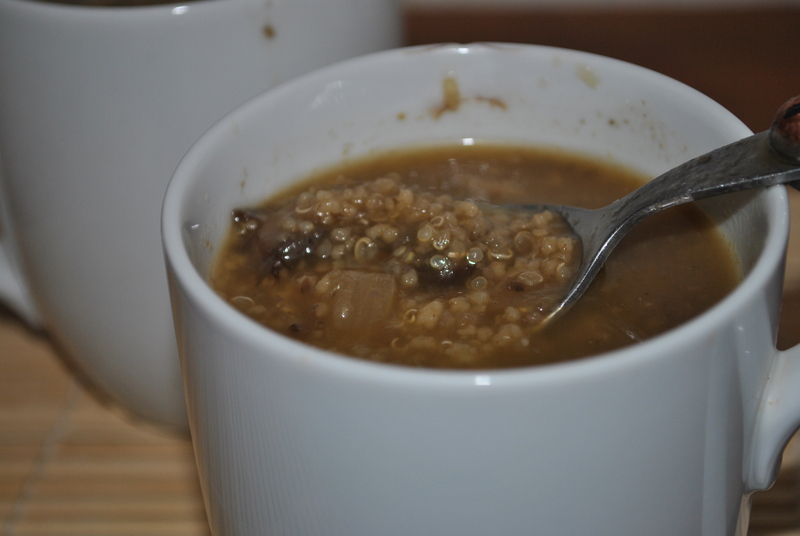 I tried a bite of the soup before it went into the blender, with just the onions, mushrooms and broth all cooked together, and it was amazing! It was sort of a different twist on a french onion soup.